Scientists at Boston University claim that food addiction — including the consumption of junk foods — is a brain disorder. But this habit could be treated by blocking Trace Amine-Associated Receptor 1 (TAAR1). Binge eating is the most common eating disorder, characterised by episodes of overeating on a regular basis over a short period of time. 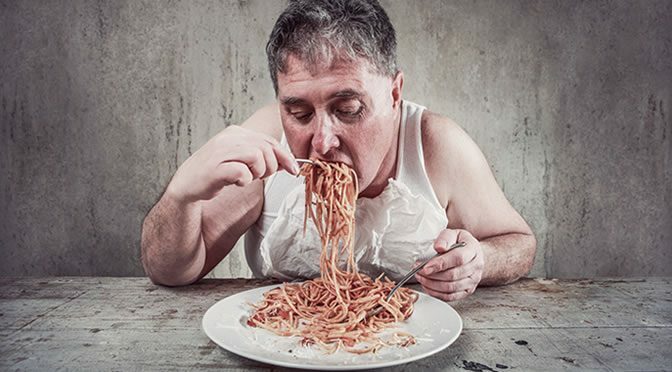 Binge eaters often report that they feel a loss of control and eat fast until they feel uncomfortably full, followed by feeling disgust or guilt. Cognitive behavioral therapy (CBT) is a helpful approach for treatment since overeating disorder is linked to depression and anxiety disorders. However, researchers offer new promise by way of a new class of drugs for the treatment of compulsive binge eating. The new drug targets TAAR1: this receptor plays a functional role in the regulation of brain neurotransmitters such as dopamine. The brain rewards us when we get food by stimulating the pleasure centres and so increasing dopamine levels. For binge eaters, a normal size meal won’t be enough to raise pleasure levels, therefore the brain requires more food. In this study, therefore, the team used a rat model where they formed addiction-like binge eating behaviour to sugary, chocolate-flavored food. The binge eaters, compared to the control group, were more vulnerable to cues related to such foods and they were also ready to do any risky behaviour to get these foods. Then the team set up an experiment to find out if RO5256390, a drug that targets TAAR1, would reduce abnormal feeding behaviours. The results showed that RO5256390 reduced the level of TAAR1 in the part of brain responsible for decision-making and management of cognitive processes. In other words, the drug reduced addiction to junk food and binge eating behaviour where food was present. “TAAR1 seems to be working as a “brake” in the areas of the brain involved in decision making and executive function. Subjects exposed to junk food lose this “brake” and show aberrant addiction-like behavior over food. The study was published in the journal Neuropsychopharmacology (Ferragud et al., 2016).